High deductible insurance has proven to drive health care costs down. Patients on such plans only seek care they feel is necessary since they have to pay for it. However, a $2,500 to $5,000 deductible is too much for a middle class wage earner to afford. As such, this cost saving plan is not available and not used by the majority of Obamacare insured. What would be affordable and cost saving would be a lower deductible and a share of cost that applied to every diagnostic procedure outside of a physical examination. This would encourage patients to ask if the procedure is necessary, and to find out why it is necessary by asking how a result could affect treatment. So many tests are ordered just to “confirm the diagnosis”. Successful treatment confirms not just the diagnosis, but also the efficacy of the treatment. How Would Treatment of Workers’ Compensation Change If the Act to Protect the Privacy of Health Care Decisions is Passed? Injured workers access to timely treatment would no longer be at the mercy of insurance companies and their ilk. Now, most treatment must be authorized by the workers compensation carrier before it can be received. Now, this process takes weeks to months while patients suffer the consequences of delayed care. After passage of the Act, patients could simply go and get the treatment they need. This means less suffering and much better outcomes. Workers’ compensation care costs should drop because fewer complications that result from delayed treatment will have a chance to occur. 39% of Californians are on Medi-Cal. Medi-Cal holds costs down by making people wait for care. This backfires when the care happens to be for a condition that gets worse while the patient waits. Medi-Cal also holds costs down by limiting what can be done each visit. This backfires when more needs to be done. What does work is putting Medi-Cal providers on salary at the county hospital or other county owned facility. Providers on salary rather than fee for service have no incentive to order unnecessary tests to inflate their billable hours. Kansas has the highest proportion of doctors on salary than any state, and as a result, has the lowest health care costs. The Legislature can remove any impediments to counties staffing their own facilities to care for Medi-Cal patients. Would The Attorney General’s Ability to Protect the Public from Bad Medical Practices be affected by Passage of the Act? The Attorney General is responsible for enforcing the standards of practice mandated by the health care boards . However, the Attorney General cannot prosecute doctors who are not licensed to practice in this state. Now, “utilization review” is done by doctors and nurses who are outside the state of California, making it impossible for the Attorney General to bring them to justice for denying patients needed care. Because the entire “utilization review” system as it now flourishes would be eliminated by passage of the Act to Protect the Privacy of Health Care Decisions, the Attorney General would no longer be frustrated in her attempts to protect our fellow citizens from the harm perpetrated by “utilization review” personnel. Would Medi-Cal Change if the Act to Protect Privacy of Health Care Decisions is Passed? Yes. Medi-Cal would have to offer spinal manipulative therapy as an alternative to addicting patients to opiates or forcing them into spinal surgery if a patient wants treatment for spinal related pain. Medi-Cal would have to pay for treatment by acupuncturists that is competently rendered and focused on successfully treating the condition for which treatment is sought. For doctors who are employees of Medi-Cal, Medical could mandate that doctors provide a therapeutic trial before ordering “confirmatory tests”. If the trial is effective, the diagnosis is confirmed. The test would have been unnecessary. Medi-Cal could not refuse a patient’s request for a test, but Medi-Cal could refuse to keep employee staff that wastes money. However, before firing a provider for not following the employer’s treatment policy the employer would have to prove that the doctor was a) not responding to patient requests when providing care contrary to policy, b) was negligent or incompetent, c) wasting money, d) the policy was the best treatment for the patient, e) the provider failed to attempt to educate and inform the patient concerning the benefits and risks of the policy. How would Health Care Costs be Affected if the Act becomes Law? The administration of the current system of “utilization review” and pre-authorization would cease, saving billions. Delays in treatment caused by the current system would disappear, eliminating the complications and increased costs that currently result from such delays. The money currently wasted by delaying care and the litigation costs resulting from denying care would be eliminated. People would live longer less sick lives, allowing them to pay into the system longer and resulting in the payments to expense ratio to increase, making the cost per year lived less. How Would the Act to Protect the Privacy of Healthcare Decisions Effect Obamacare? Fundamental to the right to make health care decisions privately, is the right to make them without government interference. If the government mandates a course of action, the decision to take or not take action is no longer the individual’s; it is the government’s. How Would Passage of the Act to Protect the Privacy of Health Care Decisions Affect Private Insurance Contracts? When I was a boy, the thought that any government could coerce any free person of sound mind to do or not do something affecting one’s own health was inconceivable. The thought that a parent could be prohibited from knowing what his or her children were doing to affect their health was outrageous. Any healthcare practitioner touching a child without a parent’s consent except in case of emergency could be subject to suit or criminal liability. Only the Nazis practiced enforced health care and denied health care to citizens of sound mind. As a friend of mine from China once said, “No matter how bad the communists are, at least they don’t interfere with parents care of their children.” That our state government could deny access to health care just because one was injured at work was beyond the realm of reason! Yet within the past decades, our Legislature has enacted laws that do interfere with our parental care of our children, that do force medical treatments upon them, and that deny people expedient, or in some cases, any care simply because they are injured at work and want to avoid surgery. What has our legislature become? Craniopathy, separately discovered by Chiropractor Nephi Cottam and Osteopath William Garner Sutherland, is a specialty within both the chiropractic and osteopathic professions. The skull, as the above picture illustrates, is made up of many bones connected by joints. This allows some movement to occur at each joint. The skull responds to the pulsing of blood pressure and nerve cells with a slight expansion and contraction just large enough to be felt by trained hands. This pulsing also pumps the master glands of the hormone system that sit in the fulcrum of movement of the skull behind the eyes. When the bones don’t respond to these motions, migraine headaches, cluster headaches, hormonal problems, and subtle brain dysfunction ensues. 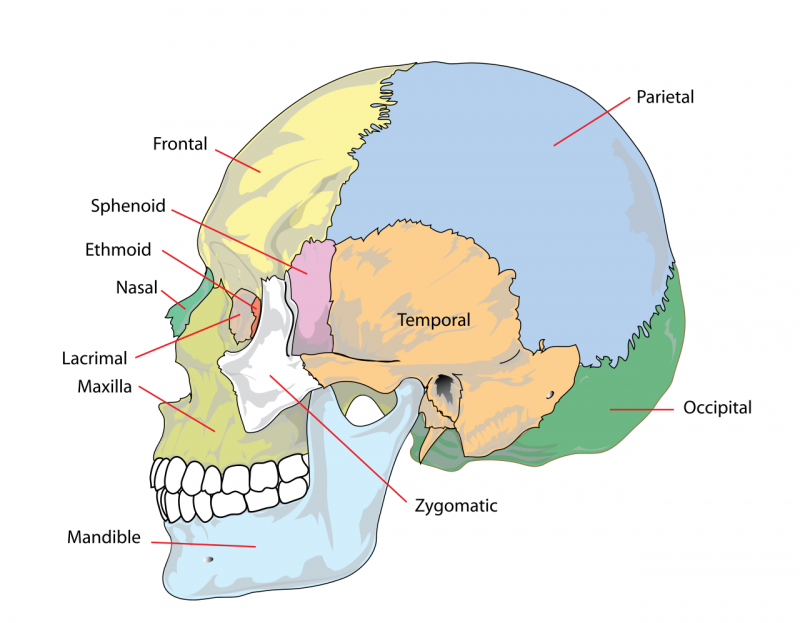 Craniopaths move the bones of the skull and restore normal motion. How Would Passage of an Act to Protect the Privacy of Healthcare Decisions Affect California Vaccination Polices?